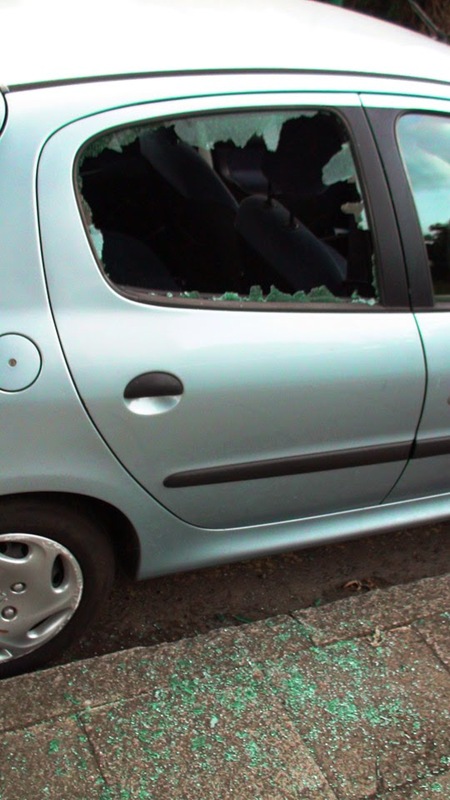 There has been a spate of car crime in Worcester Park over the last few days. "Unfortunately this person was not hit by lightening but I hope they are soon." Then on Saturday night an even worse incident occurred: Paul the security guard on the Hamptons was doing his normal patrol when he saw a man crouching behind a car near Portland Close. When he approached him the man went for Paul and swung at his face with a sharp object before running away. Paul sustained a deep slash to his nose, immediately called police and had to be taken to Kingston A&E. Fortunately, Paul is doing well with no major damage, though he was lucky. Police believe the description matches a well known car criminal from the other side of Worcester Park who breaks into cars to feed his drug habit. He also apparently carries a knife with him to escape from tricky situations and from people challenging him. Luckily police have a description of the man. He is black, in his late teens to early 20s, approximately 5'8" tall, medium build and with facial stubble. Apparently he has a 'trademark outfit' of red American-style baseball cap with a light coloured insignia or letter on the front. (What - has the horizontal stripes and eye-mask gone out of fashion?) At the time he was wearing a white T-shirt and blue jeans. It is hoped that whoever is carrying out these crimes, be it the same person or several different people, that they are arrested, charged and imprisoned as soon as possible. They obviously don't care about the suffering they cause other people through their actions, and we don't need them in Worcester Park.